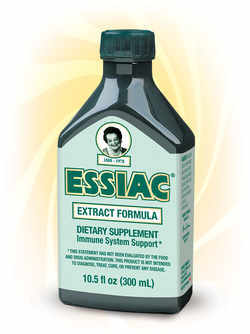 Essiac Canada International is the only manufacturer to have the rights to Nurse Rene M. Caisse's proprietary herbal ESSIAC® formula. All ESSIAC® products contain the same original ESSIAC® formula and efficacy. 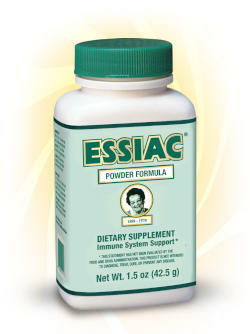 The ESSIAC® Capsules are easy to use and are more convenient than the ESSIAC® Extract and ESSIAC® Powder formulas. The capsules can easily be opened and added to a small amount of water, if needed. 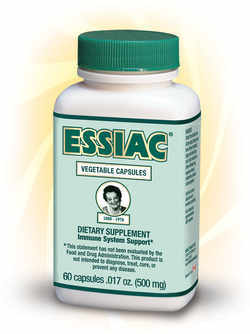 ESSIAC® is a world renowned herbal formula developed by Rene M. Caisse, a Canadian nurse. 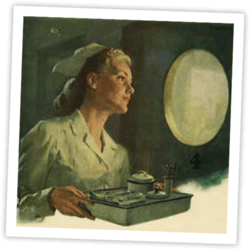 Since 1922, Nurse Caisse used her original herbal formula to help support the immune system. 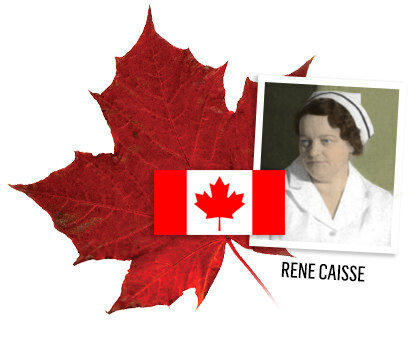 * Rene Caisse is world renowned for making significant contributions to the field of natural medicine. The herbs in ESSIAC® are grown specifically for Essiac Canada International which are harvested at peak times in order to ensure maximum botanical potency. ESSIAC® is approved by Health Canada and is shipped worldwide. TRU-PINE® is made from the original preparation given to Jacques Cartier and his men by the Native people of Canada in 1535-1536. 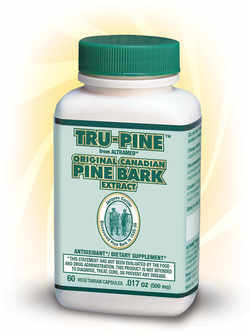 The technology to produce TRU-PINE® was developed by Agriculture and Agri-Food Canada. The proprietary TRU-PINE® Capsules are made of pine bark (Pinus strobus), rose hips fruit (Rosa canina) and Vitamin C. When combined, the ingredients are synergistically enhanced.